Ghana’s democracy and political stability is a fertile ground for a boom in the oil industry, Mr. John-Peter Amewu, Manager, Regional Extractive Industry Knowledge Hub, Ghana Institute of Management and Public Administration (GIMPA), said on Tuesday. Mr. Amewu said it was good Ghana found oil in commercial quantities at this period of democracy and puts much accountability and transparency on duty-bearers as they hold the oil resource in trust for the people. Addressing Journalists at a training workshop in Accra, Mr. Amewu said Ghana’s democratic dispensation also gave duty-bearers, state and non-state actors, peace of mind and the right atmosphere to manage the oil that has a significant impact on the economy. Describing the oil and gas industry as belonging to the people, Mr. Amewu, who is also a Senior Research Fellow, Africa Centre for Energy Policy, stressed the need to put in place the needed policy and frameworks to regulate the oil and gas sector. 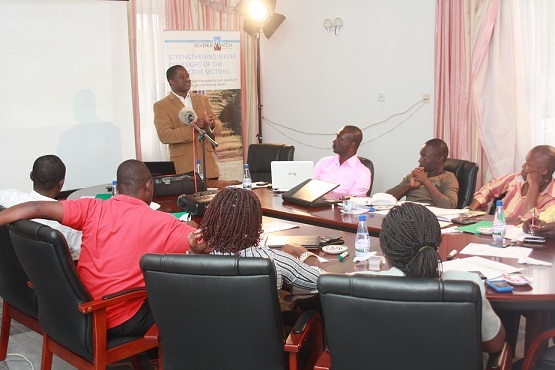 The journalists are attending the week-long training being organized by International Institute for ICT Journalism (Penplusbytes) and Revenue Watch Institute in association with Thomson Reuters Foundation, UK. 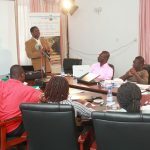 It forms the second part of ongoing Oil and Gas training programme under the “Strengthening Media Oversight of the Extractive Sectors Pilot Program” in Ghana which aims at promoting good governance and an effective oversight of the oil, gas and mining (extractive) resources and revenues. Mr. Amewu said most of Ghana’s legal and policy frameworks that manage the petroleum industry were outdated and needed to be upgraded to reflect current situation and circumstances in the oil and gas sector. He said the Ghana National Petroleum Corporation law, of 1983 (PNDC law 64), Petroleum (Exploration Law 1984 (PNDC Law 84) and the Petroleum Income Tax Law 1987 (PNDC Law 188) had all outlived their usefulness since they rather gave the oil companies much freedom and an upper-hand over the revenues of the sector than the ordinary people as well as government. Mr. Amewu said there was no comprehensive master gas policy that would help regulate and protect the gas sector and called for a plan that would encompass transportation of the commodity, pipeline regulation tariffs, pricing, strategic gas aggregator and domestic gas supply obligation.